If you can’t handle the skins that phone manufacturers continue to put on top of Android and need something 100% stock and clean, then you may want to head into a Best Buy tomorrow and pick up a Samsung Nexus S. All variants (3G version on T-Mobile or AT&T / 4G version on Sprint) will be free when you sign up for a new contract by either setting up a new line or upgrading a current handset. While this device may not have dual-core this and that, it’s still one of the fastest and most stable devices you’ll ever use. As a “Nexus” device, you won’t find another handset in the world with this pure of an Android experience. When I first picked up a Nexus S back in April, I couldn’t even explain to anyone how refreshing it was to have a device that was left completely untouched. 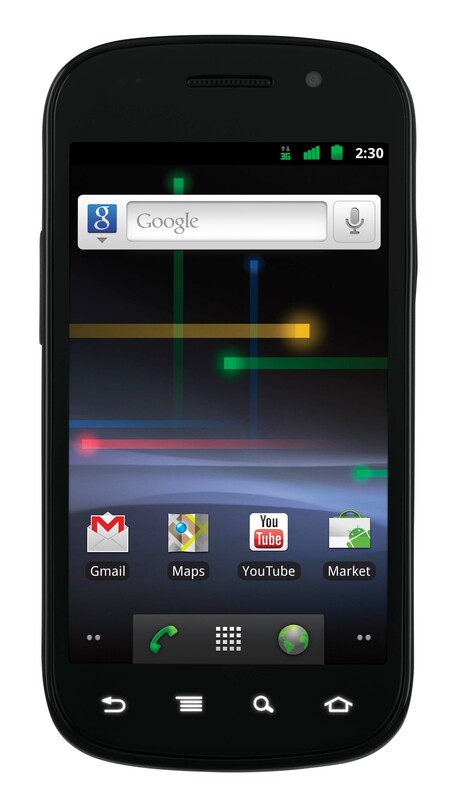 MINNEAPOLIS, August 2, 2011 – Best Buy Mobile today revealed an exclusive one-day sale on Nexus S from Google phones valid on all carriers who support the device – AT&T, Sprint and T-Mobile. Customers can receive a free Nexus S phone, either as a new phone or an upgrade purchase, with two-year activation at all Best Buy, Best Buy Mobile specialty stores, and online at BestBuy.com/Mobile. Nexus S is a pure Google experience phone and runs Android 2.3, Gingerbread, the fastest version of Android available, and will be offered free starting tonight at 11:00 p.m. CST, through Aug. 3, at 11:59 p.m. CT. In addition to the most smartphones under one roof, including all three versions of Nexus S, Best Buy Mobile offers an array of services aimed at improving customers’ experience, including Walk Out Working, Upgrade Checker, Happy 24 and a full array of accessories for customers to protect and personalize their device. Best Buy Mobile was founded in 2006 with a goal of changing the way consumers shop for and purchase mobile phones in America. Today, Best Buy Mobile is in every Best Buy store and also has 206 Best Buy Mobile specialty stores around the country. Best Buy Mobile features one of the largest selections of carriers, handsets and accessories available anywhere. Employees undergo at least 80 hours of intensive training, as well as continuing education on mobile phone technology and trends to help customers get the most of their mobile phones. For more information about Best Buy Mobile, visitwww.bestbuy.com/mobile or www.bestbuymobile.com. Best Buy Co., Inc. (NYSE: BBY) is a leading multi-channel global retailer and developer of technology products and services. Every day our employees – 180,000 strong – are committed to helping deliver the technology solutions that enable easy access to people, knowledge, ideas and fun. We are keenly aware of our role and impact on the world, and we are committed to developing and implementing business strategies that bring sustainable technology solutions to our consumers and communities. For information about Best Buy, visit www.bby.com.